It is just four years old but PEBS Pennar has grown rapidly and is now planning to expand further riding on its strength in niche areas. At a time when growth is talked about in past tense, there are some exceptions too. While growth in infrastructure and construction sectors over the past few years has slowed down, the Hyderabad-based maker of pre-engineered steel buildings, Pennar Engineered Building Systems (PEBS Pennar), seems to have made rapid strides. The company designs, manufactures, supplies and installs pre-engineered steel buildings and building components for industries, warehouses and commercial centres among others. PEBS Pennar, part of the Rs 1,225-crore Pennar Group, was incorporated in 2008 and became operational in January 2010. It posted revenue of Rs 34 crore in the first three months of operations. In the full year, it earned Rs 165 crore. In 2013/14, it closed at Rs 417 crore and aims to touch Rs 550 crore in the current fiscal year. "We have seen a 40 per cent compounded annual growth rate and we are also a zero-debt company," says Aditya Rao, Vice Chairman. Son of Nrupendra Rao, a first-generation entrepreneur who forayed into cold-rolled steel making in the late 1980s and is now also the Vice Chairman of industry body CII's Telangana Chapter, Aditya attributes this feat to the company's focus on putting in place good engineering and execution teams. Both the father and the son give full credit to Managing Director P.V. Rao for the company's growth. Rao is a civil engineer with 22 years of experience and joined the Pennar Group in 2008 from Tata BlueScope where he was chief operating officer. Manish Sabharwal, Chairman of staffing company TeamLease , and a board member of PEBS Pennar, says the company has evolved to become a truly board-managed firm where there is a professional chief executive who sets targets and is held accountable to that. "It is validated by the private equity investment that they have managed to attract," he says. Private equity firm Zephyr Peacock last year invested Rs 50 crore to take a 26 per cent stake in PEBS, valuing the company at about Rs 200 crore. Zephyr now has two representatives on the board of PEBS. Rao says the market size of pre-engineered buildings (PEBs) in India is Rs 4,500 crore. "We have 10 per cent market share and five years on we want to touch 25 per cent. Today, we have a plant in Hyderabad. We want to set up another one in north India, preferably in Gujarat or Rajasthan, to address the northern and western markets," he says. The company aims to touch Rs 1,000 crore in revenues in the next three years. Aditya says the growth strategy is three-fold. "What we are already doing, we will do in different geographies. For instance, move beyond south to enter north India and even abroad, say Africa. We will also try to do new things using our core assets of engineering and designing capabilities, robust manufacturing and project management capabilities. We just don't do PEBs. We see ourselves at once as a PEB company, a structural steel company, a cold form buildings company, a solar module mounting structures company and an engineering services company," he says. The company has already entered into making structural steel towers for Reliance Jio Infocomm. "We are one of the major suppliers and have done business worth Rs 300 crore in the last 18 months," says Rao. The company is also focussing on corporate governance. "It is important in terms of how we look at our processes. For instance, we do constant appraisal of our internal audit procedures and how technology can be used to improve it," says Aditya. 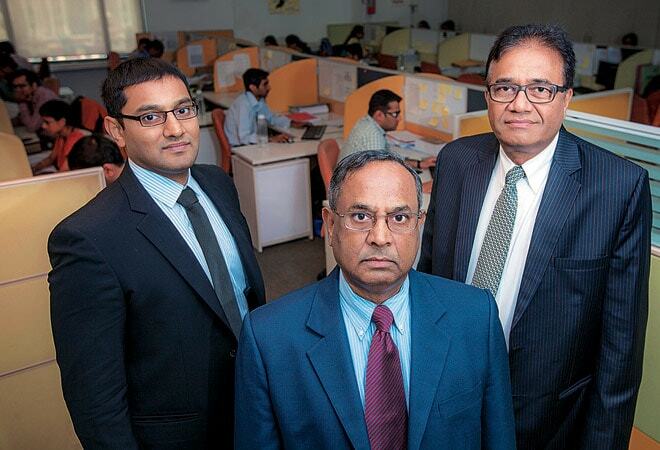 C. Parthasarathy, Chairman of financial service provider Karvy Group and who is on the PEBS Pennar board, says the company is very conscious about corporate governance and is constantly taking every feedback seriously. To put in place an advisory board by the end of 2014/15 is yet another objective. "There are some industry leaders and thought leaders whom we hope to rope in. We also want to go beyond what the company law stipulates. For instance, have more than one woman director and build on a structure where the independent directors are more in number than the executive directors, to a degree where there is a transparent board," says Aditya. Talking about the company's progress, Sabharwal, who knows Pennar and its founder since 1990 when he worked as an executive assistant to Nrupendra Rao, quotes Mario Cuomo, ex-governor of New York, "We campaign in poetry and govern in prose." "I think PEBS Pennar has got the right balance in poetry and prose," he says.